Founder of Box4Young, a start-up company offering gift boxes for under 18s. From 2016 to 2018 Marketing and Communication manager at Zodio Italia srl. 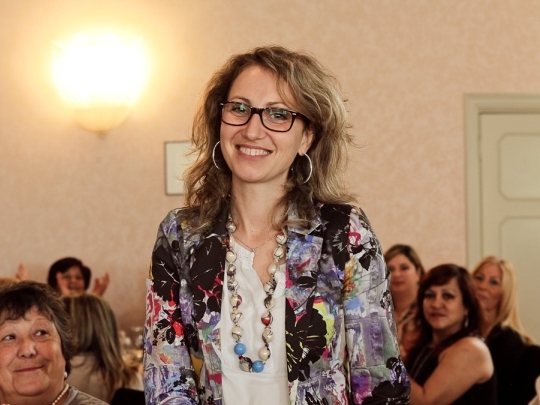 Up to January 2016, Giovanna Moranelli worked as Head of Communication in Avon Cosmetics. From 2008 to January 2013: Head of Internal and institutional Communications of Leroy Merlin Group. In this period, she contributed to the creation of a “new Leroy Merlin company ” as a result of the acquisition of Castorama. From 1998 to 2008 Giovanna Moranelli was in Michelin, in the Communication department. Starting as a Junior she became Head of Internal Communication in Italy, involved also in the press office and special projects in the Michelin headquarters in Clermont Ferrand where she stayed 3 years. Communication Science degree – Business Communication – in 1997.